Revenue Protection (RP) and Revenue Protection with Harvest Price Exclusion (RPHPE) are individual plans that protect against revenue losses caused by low yields or low prices, as well as higher fall prices on a per-unit basis based on the Projected Price. The producer chooses the coverage level. RP and RPHPE are multi-peril crop insurance products that are based on the Commodity Exchange Price Provisions (CEPP) prices and protects against production loss, price decline or increase, or a combination of both. 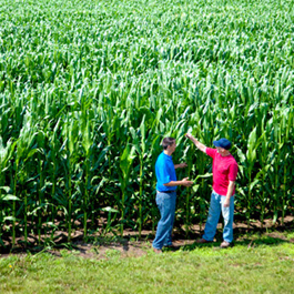 To determine the loss guarantee, RP will use the greater of the Projected or Harvest Price. RPHPE insures in the same way as RP, but uses only the Projected Price to determine the loss guarantee. Per-acre premiums will depend on the county of the insured crop, unit structure, the crop’s APH yield, and price elections. Higher coverage levels and higher elected prices result in higher premiums. Late Planting Coverage: May provide additional time to plant crops when conditions prevent timely planting. Prevented Planting: May allow for payments when insurable causes of loss prevent you from planting your crops. Replant Provisions: May provide an additional payment for the extra expenses involved when it is practical to replant and the acreage qualifies.